The couch gag on The Simpsons will be little bit special (and longer) this week. It’s an 80s-themed one, filled with neon lights and a beefy Homer. 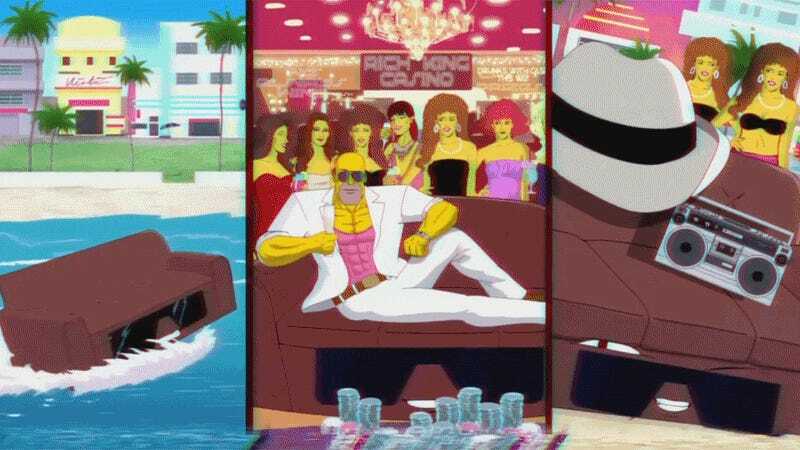 It might be boring to see another clip with all these well-known, over-the-top 80s references, but the redesigned Simpsons characters (especially Flanders) make the whole thing pretty good. The couch gag will run as part of the upcoming episode “Teenage Mutant Milk-Caused Hurdles” on January 10.